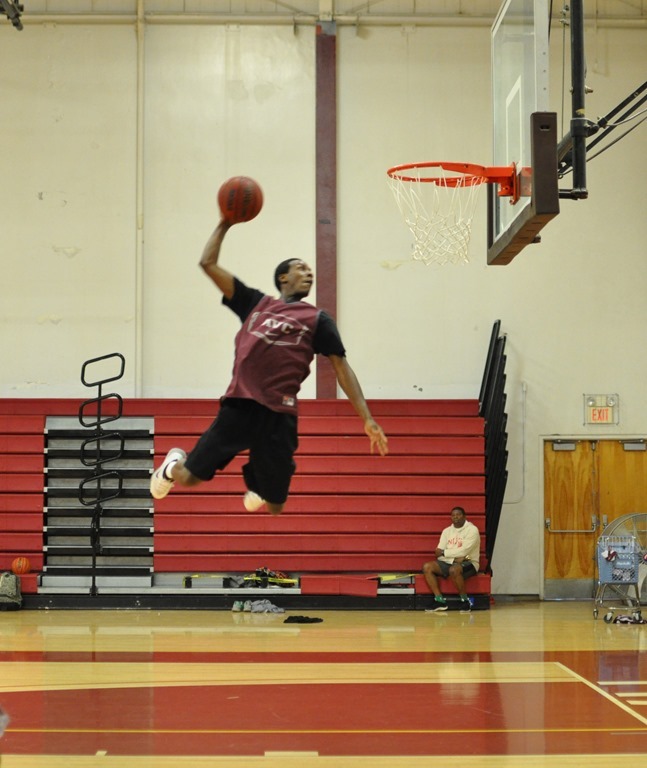 Brandon Ruffin, 6’1”, 165 Antelope Valley College, picked up a scholarship at NAIA Dickerson University. Brandon is a talented basketball player…the shut down defender for AVC…possibly the most athletic player they have had for years. However, Ruffin’s athletic skills extend beyond basketball. One of the top track competitors in California JUCO, he was offered a number of college track scholarships. Dickerson University took it one step further and agreed that they would allow Brandon Ruffin to “Walk On” in their basketball program. Brandon is thrilled. I wouldn’t bet against Brandon making the basketball team. He has the talent, skill, and drive to play. Brandon Ruffin is heading back to Cali. He spent last year in North Dakota on full scholarship for the track program and “walked on” to the basketball program and started for Dickerson State University. William Jessup University recruited Brandon for its track program on a full ride and due to his transfer will be sitting out this year from basketball. Anther local young man who is doing great after graduating from AVC and receiving a scholarship and on the way to University Degree.